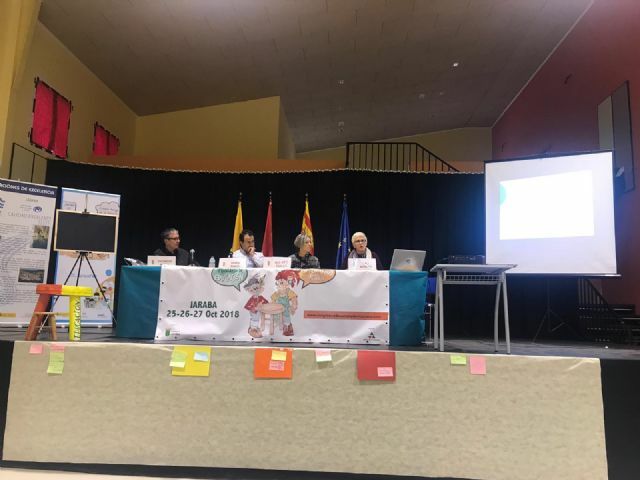 The Councilor for Education of the City of Totana, Eulalia Moreno, presented the experiences of the Children's Plenary of Totana and other educational programs during the II Congress of Education in Active Democracy, held this weekend in Jaraba (Zaragoza). 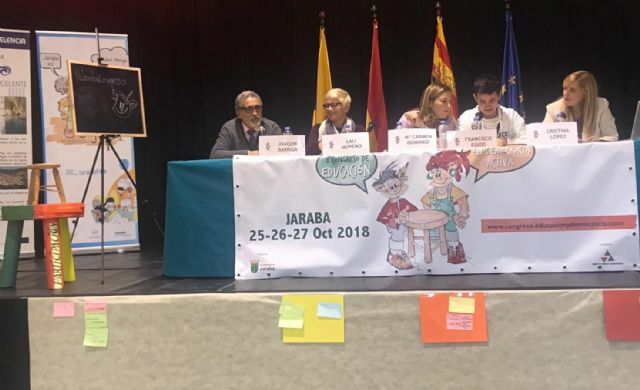 The Provincial Council of Zaragoza (DPZ) and the City Council of Jaraba have organized the 2nd edition of the Congress of Education in Active Democracy, whose objective was to analyze the importance of educating in democratic values â€‹â€‹since childhood and be a forum for exchange experiences and initiatives in this field. 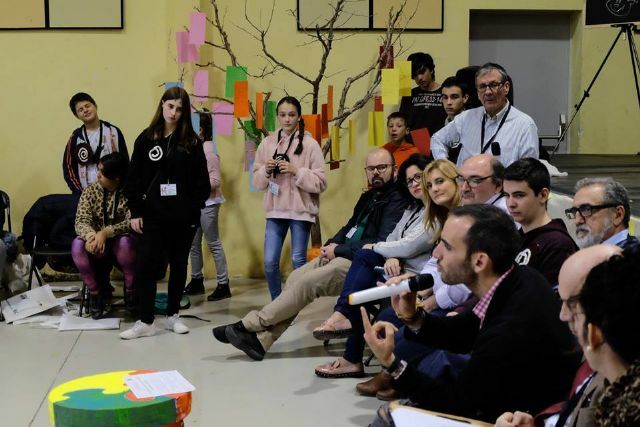 Totanera councilor presented the project of the Children's Plenary in the City of Totana that has been developing during the current term, while participating in a round table on the contribution of different experiences that are being made to educate against violence and education on gender equality. and also to consolidate their role as guarantors of children's rights. The Congress of Education in Active Democracy was addressed to all the agents involved in this field, who are protagonists of the educational processes from any of its aspects. 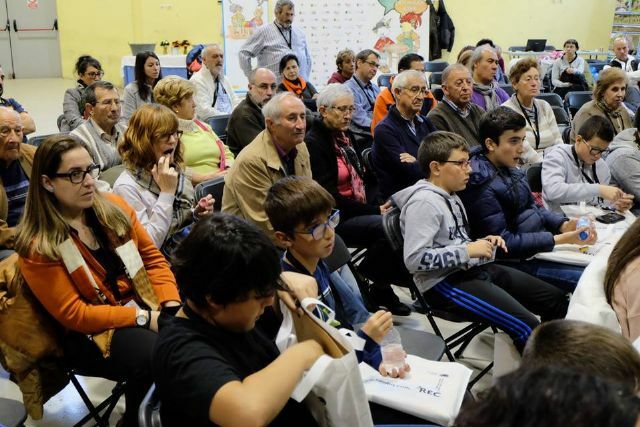 Among them, the municipal councilors, who have been elected through democratic processes to represent childhood and adolescence in the plenary sessions of their town halls. The fundamental objective was to promote the quality of life of all citizens, through formative processes in democracy, for which the municipal policies of an educational nature should always be understood in a broader context, where the principles of social justice, democratic citizenship and promotion of people over any other economic and social criteria. 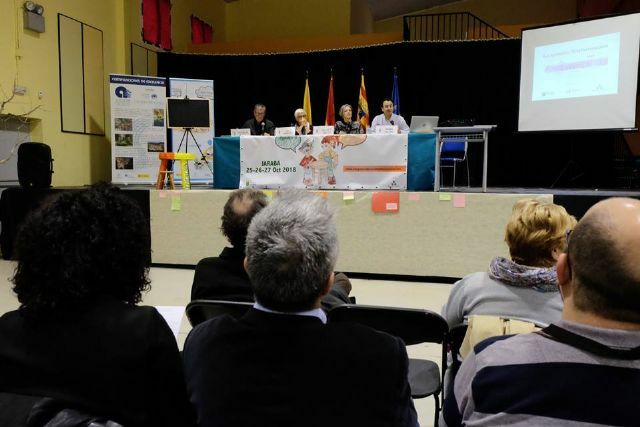 During the same democratic models of participation were presented, the contribution of different techniques and models that are being made in the autonomous community of Aragon and in the Spanish territory, revealing different processes of participation in this area, among them those of Totana. 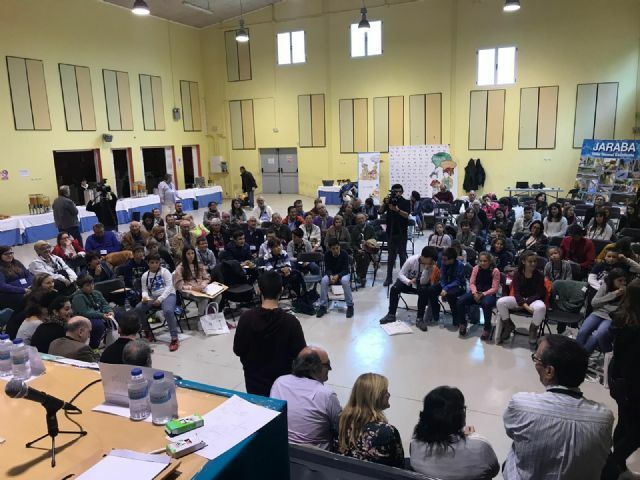 The Congress is aimed at municipal councilors of Children and Adolescents, and boys and girls who have been elected, through democratic processes, to represent children and adolescents in Children's Plenary Councils. 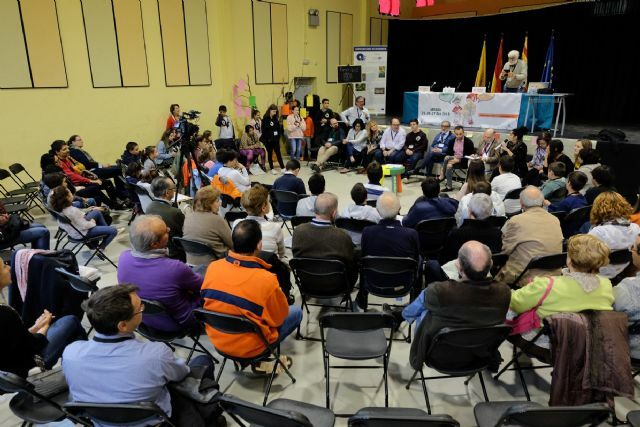 In addition, elected representatives of City Councils and other Public Administrations, as well as mayors of the province of Zaragoza or councilors of Citizen Participation, Education, Democratic Culture and the like will meet. and fathers and mothers, research families, students and citizens interested in education in active democracy.